We are an Independent Insurance Agency, which means we represent many different companies. We can shop your insurance for you instead of you having to call around. Our goal is to provide you with the insurance you want at a competitive price, while providing you with good customer service. We can discuss with you an assessment of your insurance needs and a choice of which package may fit your needs. After raising a family of four children and experiencing occupations in banking and other lines of business, Carol began her insurance career in 1989. She purchased First Tribune Insurance Agency in 1992. In 2004, she created 1st Choice Insurance, then bought and placed Owen Sleigh's insurance business in this new LLC. She no longer has her securities license (because of extensive continuing education and training), but continues to renew her property, casualty, life, and health. Crop insurance has been her love, but with the tremendous growth of the two agencies, she now spends most of her time in the area of management, updates, marketing, and related subjects. 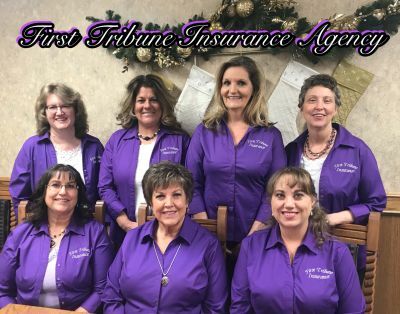 Sixteen years have gone by since Lesa joined First Tribune Insurance Agency. Lesa possesses her Property and Casualty, Life insurance and Crop insurance licenses. She has also completed extensive crop insurance, and marketing training. She has seen a lot of changes not only in crop insurance but also First Tribune Insurance Agency. When Lesa started there were only two other people working here. She is very proud of the growth of FTIA and has developed a love for crop insurance. Lesa sells crop insurance, works on our marketing, social media and lots of other things in the office. She is thrilled to work at FTIA not only to educate her clients in choosing the right coverage, but to be part of a team that TRULY believes in the well-being of its customers. Ten random things about Lesa: 1. Loves the ocean 2. Has a wonderful husband, two super kids, and grandkids. 3. I have run 13.1 miles without stopping more than once. (A half Marathon because I'm only half crazy) 4. I have the greatest friends in the world. 5. Eating healthy is the hardest thing I've ever tried to do. 6. I hate being cold but love to snow ski. 7. I love my life and; my family. 8. I miss my kids being little 9. I miss being able listen to my dad sing and play the guitar. 10. I hate cancer! A native of Greeley County, Jill became a member of First Tribune's family in October 2006. Though licensed in crop, her main focus is in commercial property. If your needs are auto, home, farm or commercial, Jill will be there to guide you through the insurance maze. She feels that the one-on-one time she spends with her customers is the best way to help them with their individual insurance needs. Janet started with First Tribune Insurance Agency in March 2007 on a part time basis. I enjoyed working with all the customers so much I decided to become an agent. Janet is licensed in Property and Casualty, but sells Crop Insurance. Denise began working for First Tribune Insurance Agency in 2008. She enjoys the interaction with our customers. Denise sells crop insurance, but is licensed in property and casualty as well. In addition to their daytime jobs, Denise and her husband keep busy with their family and handling the small family farm. Lori was born, raised & graduated from Greeley County high school. She graduated from Fort Hays State College and shortly after began her long career with the State of KS. Lori and husband Kevin moved back to Tribune in the summer of 2012 to be closer to family and enjoy spending time with the grandkids!! 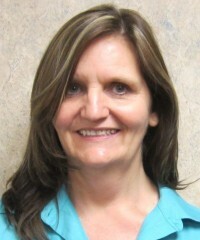 Lori began working full time at First Tribune Insurance on April 1, 2015 as Administrative Assistant to Carol. She obtained her Property and Casualty license, but mostly helps with Crop insurance and administrative duties in the office.